The HSBC BWF World Tour is a circuit of 26 tournaments attracting the top world ranked players in singles (men’s and women’s) and doubles (men’s, women’s and mixed). The 26 tournaments are divided into five levels – Super 1000 (three tournaments), Super 750 (five tournaments), Super 500 (seven tournaments) and Super 300 (eleven tournaments). Each of these tournaments offers different ranking points and prize money. The highest points and prize pool is offered at the Super 1000 level. 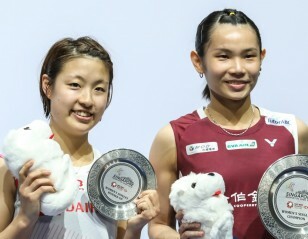 One other category of tournament, the BWF Tour Super 100 level, also offers BWF World Tour ranking points. Although this level is not part of the HSBC BWF World Tour, it is an important part of the pathway and entry point for players into the HSBC BWF World Tour tournaments. The HSBC BWF World Tour Finals held in December is the ultimate goal for players on the World Tour and only the top eight players in each of the five disciplines of the HSBC BWF World Tour Rankings qualify to compete in the season finale.